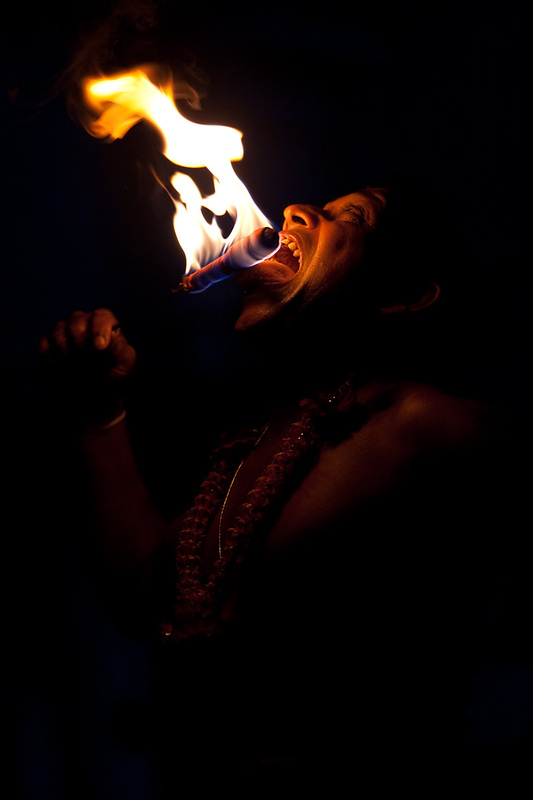 Part of the famed Kandy Dance performance, a Sri Lankan man "eats" fire. The performance also includes acrobatics, dancing, plate spinning, and fire walking, all in colorful Sri Lankan traditional dress. Oh.. this is awesome! Great.. just wondering how they are doing that? they don't even feel the pain?